With time, humans have found enough reasons to produce and waste food. However, it is we humans who again find out the solutions to all such problems and wipe them off the society! Going by the facts, up to 40% of food produced in India, is wasted. If this what happens in just country, imagine the statistics of the whole world!! Food wastage is a serious concern and it is time when the society needs to think wisely before we run out of food, completely. Systematix took an initiative towards one such issue, food wastage, which has turned out to be one of the grave problems! The initiative was induced by 10 people from the Systematix family which was later joined in by the rest. To start with, we placed food boxes in the pantry area of the company and anyone who has food left can donate it in the box which is later delivered to the needy. By now, the Systematix team has helped over 300 needy people in the past one month. 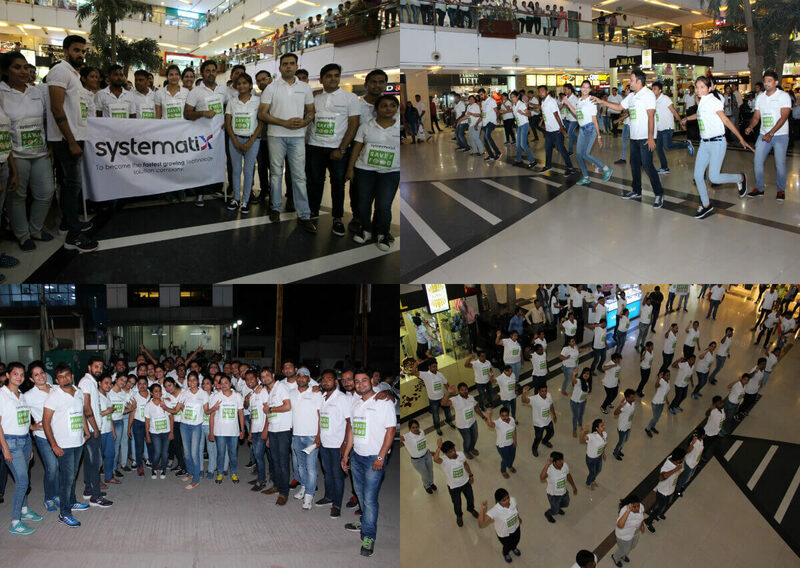 It’s been a month since we have been into this drive and to promote this drive in the society, the Systematix family performed a flash mob at C21 Mall, Indore. The team broke into a jig right in the middle of an ordinary evening in the mall and the sight made sure that people stopped by to watch it. After an intense performance, the team walked away nonchalantly, leaving everyone struck by surprise. It was only then that our director, Mr. Ashish Mahajan stepped up and answered the curious eyes of the viewers. A concept for proposing and inducing awareness among the people, this flash mob was surely something that grabbed the eyeballs of many. With this initiative in our hearts, we hope that food wastage would rather be a wiped off issue from the society so that the needy could be helped.